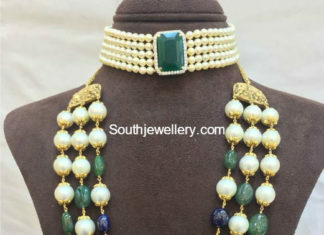 Three line south sea pearl mala with antique peacock pendant studded with uncut diamonds. 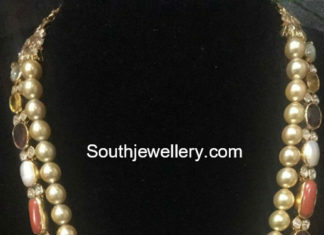 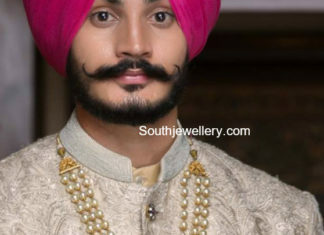 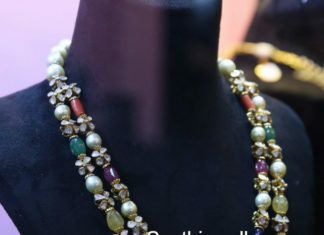 22 Carat gold three line mala strung with south sea pearls and ruby beads by Jagdish jewellers. 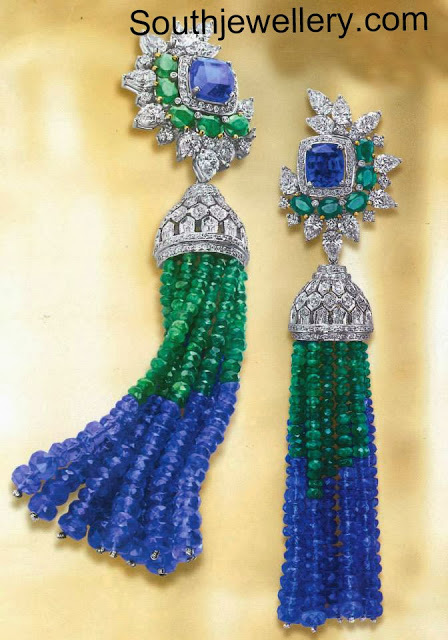 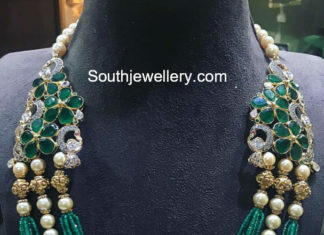 Emerald beads and south sea pearl mala with floral peacock side pendants studded with emeralds and diamonds by P Satyanarayan and Sons Jewellers. 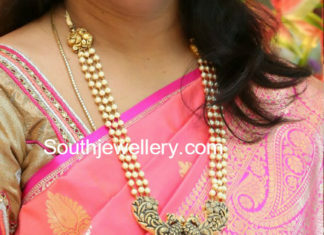 22 carat gold mala adorned with south sea pearls, polki diamonds and navratna gemstones. 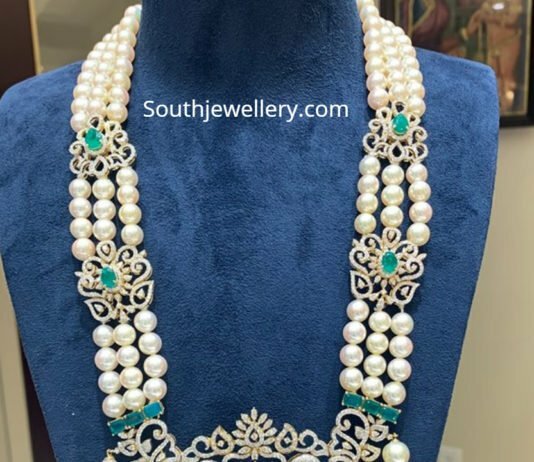 22 Carat gold two line mala strung with nakshi balls, south sea pearls, ruby beads, emerald beads and polki diamond motifs. 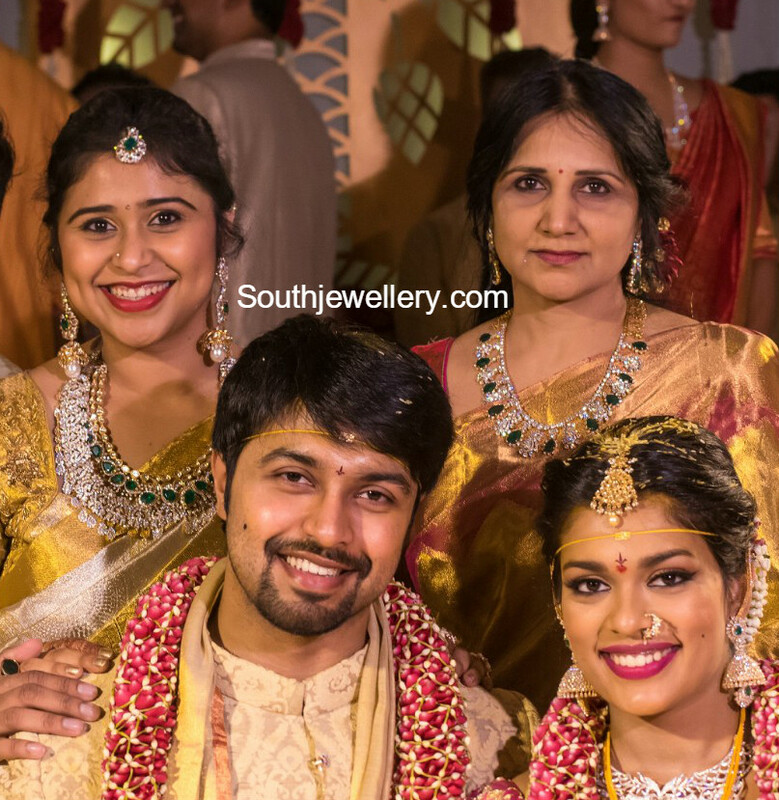 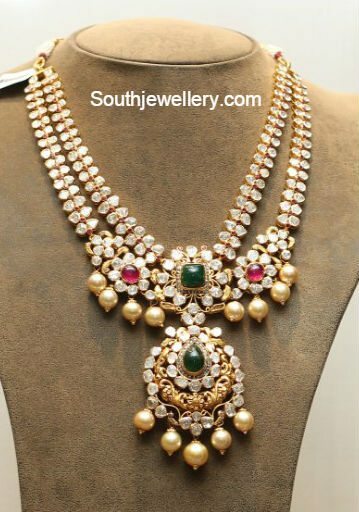 Two step polki diamond necklace adorned with polkis, rubies, emeralds and south sea pearls from Hiya Jewellers.